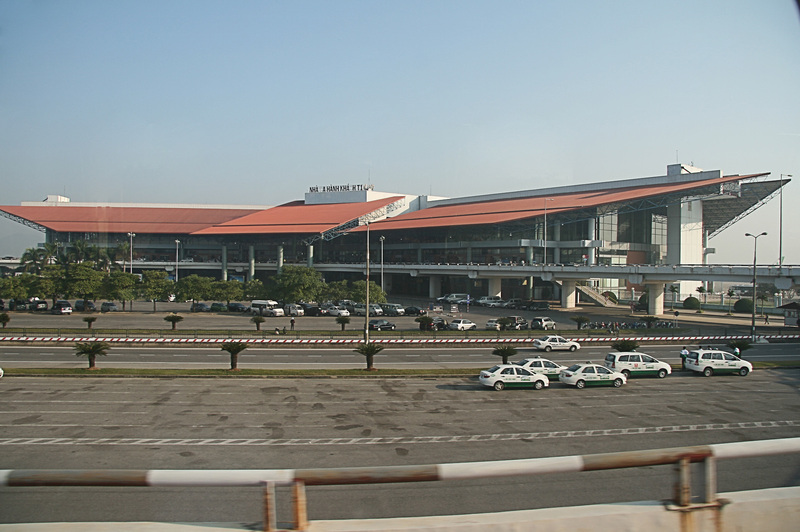 Hanoi International Airport or Noi Bai International Airport (HAN) located 28 miles north of Hanoi City Center. The first floor of the airport is the arrival lobby and has a check-in area for Jetstar Airlines. You can find currency exchange booths, airport taxi services and information booths on this floor. There are only 2 arrival doors- one for domestic and one for international flights. The second floor has departure gates and check-in areas for all airlines except for Jetstar. Boarding gates from 2-5 is on the far left of the airport and boarding gates from 6-10 is on the far right. In the middle and near the elevator is the border police control door. The custom declaration form has been abandoned for all outbound travellers as of September 2010. The airport’s top floor has several restaurants and bars that serve breakfasts, lunches and dinners. The food is decent and inexpensive but do not expect an international selection. Please send us a password to safely sign in to pay by credit card you have our travel details. We are wanting to pay but seem to need a password to log into your site. We of course want to do this on a secure site. Please arrange to pick the two of us up from the Hanoi Noibai Airport on 20th Sept at 3.25pm, flight VN 662 from Singapore. We are staying at the Hotel Movenpick, 83A Ly Thuong Kiet Street. On 23rd Sept, at 8am, please pick us up from the Hotel Movenpick in Hanoi and send us to the Hanoi Noibai Airport, for our flight VN 661 to Singapore. So the total costs is US$32 for both trips? How do I make payment? Taxis are well regulated as you step out of the airport. The fixed rate from the airport to city center is VND 315,000 (about US$16) and you can request for a drop-off at your hotel ($12). We are four adults reaching Hanoi airport at 5.45 pm by Vietnam Airlines, Flight 614, from Bangkok on Jan 21, 2017. Our hotel is Hotel de l’Opera at29 Trang Tien Street Hoan Kiem District Hanoi, Viet Nam. We will need to go back to the airport on Jan 25th at 7 am. What is the cost of the round trip. We need the 7 passenger van for 4 adults.